1. Saññā is normally translated to English as “perception” and sometimes as “recognition”; it is both and more! Saññā has a much deeper and at the same time a simpler meaning. It means “sign” or even closer, “the embedded message”. That latter expresses it well, since it is how one “instantaneously gets the idea of what is meant by an external signal”. 2. When we understand what is meant by Saññā, we can clarify many things including how humans can communicate with beings in other realms via Saññā. Saññā is the “universal language”. To give an analogy: if there is a sign that reads, “winding road ahead”, only those who know English can understand what that sign says. 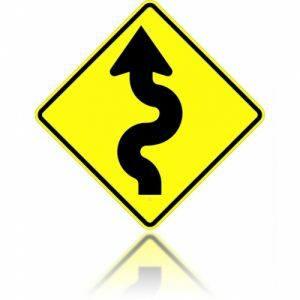 But those universal signs — showing a picture of a winding road — provide the “Saññā” that a road ahead is going to be curvy. 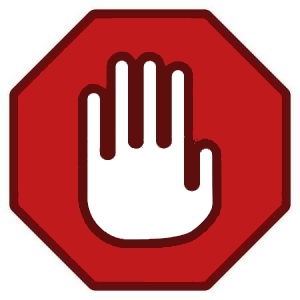 A second example (on the right above) is holding one’s hand up instead of verbally saying stop; that gives the “Saññā” to anyone that one is being asked to stop. 3. At the very basic level, Saññā means “recognition” of an object or a person or a concept; getting “full comprehension” of what it is AND what it means. Whether one says fire in English or “ginna” in Sinhala, or “fue” in French, if a person knows how to associate any of those words with “fire”, that is the Saññā that comes to one’s mind when one hears either the word “fire”, “ginna”, or “fue”. 4. Therefore, Saññā is the “full picture that comes to the mind instantaneously”. 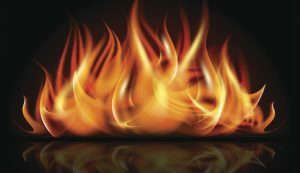 When we think about a fire, that “sense of what a fire is”, is conveyed to the hadaya vatthu (seat of the mind) by the brain. Therefore, regardless of the language one speaks in, everyone who has seen a fire generates the same feeling about a fire in one’s mind. This is a key point to contemplate on, and will be valuable in comprehending the “anicca Saññā”. 5. Our mental body (gandhabba) can register only pure Saññā. When two gandhabbas are communicating, they cannot use words OR pictures. So, the process is even more simpler: What one gandhabba X thinks about what to say to gandhabba Y, that message or Saññā is automatically transmitted to Y, if Y is pointing attention to X. When gandhabba X wants to see what is happening at a given location, it just needs to point to that direction and can see that location. We will not discuss the details here, but essential point is that a gandhabba does not “see” things using light as we do. In the same way, a gandhabba does not hear using an ear. Sound waves propagating through the air are not needed. This is how most beings — who don’t have physical bodies like us — communicate and interact with the external world, as emphasized briefly in the previous post, “Our Mental Body – Gandhabba“. When someone gets to the fourth jhana and attains abhinna powers, he/she will be able to see (dibba cakkhu or “divine eye”) and hear (dibba sota or “divine ear”) by separating his/her own mental body (gandhabba) from the physical body and using the above methods. Then seeing and hearing is not limited to short distances. 6. However, when a gandhabba is trapped inside a physical body (as in a normal human), it does not have that capability any more. It needs to rely on the sense faculties located in the physical body (eyes, ear, etc) to capture information that comes via pictures, sounds, etc and also on the brain to convert those signals to “Saññā” and to transmit them to it. If you are not clear on this point, please re-read the previous post, “Our Mental Body – Gandhabba“. In that post, we compared how a gandhabba trapped in a physical body to a human operator totally enclosed in a military tank. That is a good analogy. 7. At conception, the gandhabba takes hold of a single cell formed by the union of a mother and a father and basically builds a “cocoon” to be trapped inside to enjoy the sense pleasures made available through that cocoon or solid shell: smells, tastes, and body pleasures. Inside that physical body, the gandhabba is shielded from receiving direct Saññā. Pictures and sounds come through the openings in the cocoon not as Saññā but as video and audio signals, and those need to be converted to Saññā that can be grasped by the gandhabba. First, the eyes and ears (as well as nose, tongue, and body) need to develop to capture those sense inputs and the brain needs to develop to analyze those signals. The brain also needs to develop circuitry for converting that information to a “Saññā” that can be transferred to the gandhabba so that it can grasp what object, person, or concept it is. This transmission goes from the brain to the hadaya vatthu located close to the heart via “kirana” or in the language of modern science electromagnetic waves. This was discussed briefly in the post, “Gandhabba (Manomaya Kaya)- Introduction“. 8. When a baby is growing up, it learns to associate words and pictures with each object, person, concept that it experiences. This requires many parts of the brain. This is why it takes a newborn baby several years to become fully functional in the world. So, when a person hears someone yelling “fire”, the brain matches that with a visual of a fire, converts it to the correct “Saññā” of a fire, and transmits that signal to the gandhabba. The association of a word with its meaning is done in the brain (which is acting like a computer), and then only the meaning is conveyed to the gandhabba, where our thoughts are generated. As I have discussed in the posts on the gandhabba, a human gandhabba is born at a cuti-patisandhi moment and could live to thousands of years in age, and during that time could be born many times as a human (of course with different bodies). 9. If the relevant parts of the brain are damaged later in one’s life, one may not be able to recognize one’s surroundings. This is what happens to people with alzheimer’s disease. When a person gets old, the brain starts degrading and then again, one’s ability to interact with the external world could become limited. If that person dies and the gandhabba is reborn a human again (due to leftover kammic energy of the same human bhava), he/she will not have those limitations any more. 10. Now we move to next level of Saññā where it is more than just recognition. For example, when two people hear the name of a person X, they will have the picture of that person (or “Saññā“) coming to their mind automatically. But not only that, they would register some qualities that they had attached to that person through their interactions with X. One may say. “It is my Dad. I love him so much”. Another would say, “Oh, he is a crook”. Then based on that Saññā, each will generate different feelings (vedana) about X. That could lead to generating good or bad thoughts (mano sankhara) automatically. If one keeps thinking about X some more, then one will be consciously generating more thoughts (talking to oneself) about X and may even speak out loud (vaci sankhara). If the feelings get strong, one may generate kaya sankhara (thoughts leading to actions), and, for example run to Dad and give him a hug (or avoid the person perceived to be a crook). Therefore, based on the same thought object, different people can get different Saññā and thus can respond differently. 11. In general, how we make decisions about interacting with others or respond to external stimuli depends on our “world views”. This is what is called “ditthi” in Buddha Dhamma. When one has wrong world views or ditthis, one could make wrong decisions based on “distorted Saññā“. When one’s mind is free of greed, hate, and ignorance, it is easier to sort out wrong ditthis. What is meant by greed and hate is obvious. Ignorance here is the ignorance about the message of the Buddha. That message, of course, can be grasped only in stages. First is to realize is that one MUST live a moral life and follow that mundane Eightfold Path by abstaining from dasa akusala as much as possible. Then it will become easier to cultivate the “anicca Saññā“, start grasping the Tilakkhana, and become a Sōtapanna. We will discuss the anicca Saññā in upcoming posts.